Bruce turns that perspective upside down questioning the military’s role in shaping our domestic and foreign policy and going outside the box to envision a Canadian role in returning to a world where peace, justice, compassion and understanding between peoples is the primary goal of our diplomatic and military efforts. The following is a slightly condensed version of Bruce’s submission either as a direct quote or very tight paraphrasing. My rare considerations are in italics. Submission to Canadian Defence Policy Review 2016 by Bruce Archibald, Comox Valley, August 2, 2016. The Trump – Clinton current focus of Canadian news media may be distracting Canadians from important political issues here. While the Ministers of Justice and Health and Aboriginal Affairs are making progress where needed and promised by PM Trudeau, the Minister of Foreign Affairs seems confused and confusing. He seems little different from a Harper Minister of Foreign Affairs. Critics rate him amongst the most disappointing cabinet ministers. Unfortunately PM Trudeau seems prone to follow the same very old policies leading to the same old military mistakes by we have been making for a long time. Defence is all about foreign policy. Many public meetings were held by MPs of all parties. 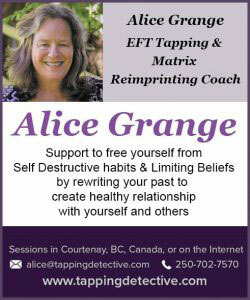 An excellent one was held in Comox hosted by the NDP MP. Expert retired military officers made submissions. Much of their experience and knowledge was in NATO operations. They mostly presume we will continue in NATO and other coalitions getting us into wars. That idea should be totally re-evaluated. Here is why. US foreign/defence policy is a disaster. What to change is known in the US but the changes are not possible in a confounded Congress. Example, Saudi Arabia is a treated as best friend of US. Saudis are big funders of terrorism against US people. Saudi intelligence on Al Qaeda may have prevented the 9/11 attack on USA but was withheld. The country is an enemy of Israel. The US supports both Saudis and Israel with much military aid. US Forces deployed to Saudi Arabia provoke hostility everywhere in Muslim lands. The US has foolishly maintained its dependence on Saudi Energy. The US Gov’t. clings to the notion that shielding Israel from the consequences of its defiance of international law and its bullying of Palestinian people is important to the security of US people. WRONG. We need an independent “Canadian” foreign policy that responds more closely to the needs for peace and justice in the Middle East. The US supports undemocratic, brutal Arab police states for the convenience of the US military. Not the kind of democracy US founders dreamed of and is clearly at odds with Canadian values. Supporting such brutality fosters the recruitment of the kind of terrorists that are springing up all over the Middle East. UK foreign policy clings to old visions of colonial glory leading to devastating consequences for all. Canada, by tradition rather than meaningful planning, seems too inclined to share all the US-UK mistakes. In the last 20 years, US and UK have started wars and lost them badly– Afghanistan, Iraq, and more. Canada must acknowledge loosing those wars we jumped in to help lose. It is also important to recognize in advance those wars which cannot be won by any coalition however powerful, regardless of the use of maximum military resources. TERRORISM. The US, UK and Canada don’t understand or they deny state terrorism. Historical examples are: Turkey, Russia, Spain, Italy, Germany, Japan, UK and, most of all, USA. To win WW2, in Aug 1945, US state (nuclear)terrorism was used at Nagasaki and Hiroshima on civilians, schools, homes, and hospitals. The effect was known in advance in Washington at the Pentagon and White House. Non-combatants killed in 2 days was a world record. Was Japanese Army terrorism in China and Philippines justification? Earlier, in Feb 1945 the Royal Canadian Air Force participated in what could be argued as state terrorism. The RCAF(RAF 6 Group) helped the RAF and USAF to firebomb indiscriminately, the entire German city of Dresden over four days. Enormous casualties, mostly civilian, occurred and homes, school, hospitals were destroyed on a heretofore never seen massive scale. Military targets were few. A justification was needed so German indiscriminate bombing of British cities served that purpose. Can state terrorism justify state terrorism? The largest terrorist budget in the world by far is that of the US-Defence Dept and the US CIA…overt, covert, and proxy. The overt terrorism is mainly the weapons including nuclear of the USN and USAF. There are US intelligence/defence experts who say only a “total” offensive can defeat ISIS. They say Obama and Clinton attacks on enemies(ISIS) are too timid. Do those people mean nuclear attack? Is that what Trump means when he says that only he can defeat ISIS and he can do it “fast”? It’s important to note that Hilary Clinton did eventually recognize her mistake in supporting war against Iraq. How many “eventuallies” will civilians have to suffer under Hilary or Donald? Do we want to be implicated in the impending neo-colonialism inspired civilian deaths? Whoever gets into the US Presidency commands the greatest terrorist budget, resources, reach, proxies, power, and potential destruction, that the world has ever know; more than, ISIS, Al Qaida, Taliban, Bashar Al Assad, and Putin combined–way more capable than other historical terrorists, Stalin, Hirohito, Queen Victoria, or Charles V of Spain. All were obsessed with making their nation “great”. Like Donald Trump! Military Bullies. Turkey, France, Italy, Russia, Japan, Spain, and Germany all get recognition as past or present military bullies, but they were all only regional bullies not, global. The greatest global military bully of the 1800s was Britain thanks to the vast reach and power of her navy. Challenges were put down for over 100 years. The list of victims of British military bullies is huge. Start with Ireland and on to Africa, Middle East, Caribbean, Pacific, and Asia. The greatest global military bully by far in the 21st century is the USA. The bully-terrorism started in late 1700s and by 1813 the US Army and State Militias were fully into state terrorism. Native peoples victims of US Army and State Militias were(in part): Creek/Muskogee(Tennessee & Alabama), Comanche(Texas), Pomo(California), Karankawas(Texas), Sauk &Fox (Wisconsin), Shawnee(Indiana), Miamis, and Sioux(Nebraska), Shoshone(Idaho), Cheyenne(Oklahoma), Piegan(Montana),Yavapai(Arizona), and Nez Pierce(Montana). The bully-terrorism against native peoples continued until the 1890 massacre at Wounded Knee North Dakota by US Army troops. Ethnic cleansing was part of the plan. The number of other massacres by non-Army people far exceeded those of the US Army but is not clearly state terrorism. Native peoples reacted with terrorism of their own targeting soldiers and civilians. Planning for revenge doesn’t work well for anyone. Terrorism was used by US Army on indigenous people just as terrorism was used 1776-84 by British Army units on American patriot civilian non-combatants. Example: British Col Banaster Tarleton killed non-combatants and executed surrendered combatants. That was terrorism on behalf of King George III. ALLIES. Canada’s closest allies are Britain and USA. Does our foreign-defence policy need real review and revision? I think it may be time. Look at our record. Historically we made our first big mistake sending 8000 soldiers to kill Boers in S Africa for gold, silver and diamonds in 1899. 270 CDNs died, in part because of bungling British commanders. 30,000 African civilians were killed, 7000 Boer soldiers and three times that many British soldiers died. The real interests of Canadian people were nil. Next, as requested by Britain, we sent many thousands to Europe to kill on a massive scale never seen. 60,000 Cdn soldiers died in 1914-18 mostly under command of a British idiot commander named Haig for nothing of value to Canadians. A myth was started at Vimy Ridge in 1917 when Canadian troops attacked and defeated a stubborn German defence. The myth from Canadian military historians is that “Canada thereby came of age at Vimy”. Another way to view that battle is that, the terrain captured meant nothing to Canadian people and the battle demonstrated Canada’s immaturity and inability to recognize that we had no reason to be there beyond following British orders. History is clear: we imperatively need an independent Canadian foreign policy. On occasion a Canadian PM declined a stupid invitation to war. PM Louis St Laurent and Mike Pearson said “no” to France, Israel and Britain when they attacked Egypt in Suez War in 1956. After France gave up unsuccessful military bullying of Viet Nam in 1956, the USA took over that role and started a war in 1961 which lasted until 1975. Canada was asked to send forces, but multi PMs declined White House requests to join in. Canada professed neutrality but in fact was a major covert supporter of the US military, spying, selling supplies, weapons, plus testing weapons and chemicals such as Agent Orange. Much profit was made in Canada. 30,000 Canadians joined US units to fight in Viet Nam. A few were among the 56,000 US forces killed. 1.7 million people were killed, 3 million wounded and 13 million made refugees. USA was offended when Canada gave haven to draft resisters and military deserters but Canada has been a major beneficiary of that policy. The USA lost that war badly in spite of massive naval and air superiority and direct military help from 6 countries, S Viet Nam, S Korea, New Zealand, Australia, and Philippines. Canadian combat forces would have changed nothing except adding to the list of Canadians lost to the greed and stupidity of other leaders in other countries. In 2003, PM Jean Chretien and Bill Graham, said “no” to US & UK when asked to help attack–a gross mistake by Cheney, Rumsfeld, Rice, Pres. GW Bush and UK’s PM Tony Blair. Pres. Obama and Hilary Clinton, his—then– Secretary of State fumbled the ball with a poorly considered withdrawal that left only chaos and ethnic conflict behind. US & UK lost that long war badly and ISIS gained immense recruitment opportunities. Now US, UK and Europe suffer the terrorism they helped to foster. In autumn 2014 PM Harper and John Baird got Canadian Forces into that combat with—once again–vague “do-good” illusions for objectives and meaningless gesturing in the place of detailed objectives, meaningful combat planning and the kind of exit strategy that might have left some goodwill and somewhat stable governments behind. Now we share the blame for the disasters that followed. The Iraq foreign policy disaster of UK PM Tony Blair and Pres. GW Bush is now widely recognized–officially in UK, and unofficially in US. US Intelligence was manipulated or ignored. Canada shares intelligence with US and UK. Can we continue to rely on and trust them or do we need more pure Canadian Intelligence resources? I would think the answer is abundantly clear. MONARCHY: PM Trudeau has invited the British royalty to visit Canada this year. From past experience Canadians would be wise to be wary and expect to receive another British Gov’t request to join in a remote foreign war over things not vital to the interests of Canadian people. Recall that when Britain was planning in Sep 2001 to attack al Qaeda in Afghanistan, the Duke of Edinborough was sent to visit Canada in October and by Jan -Feb Canada had sent troops to join in the Afghan War at the request of the UK and the US. They took on the nasty Kandahar job in 2006. That war was eventually lost. In 2002 when Britain was planning to invade Iraq, The Queen was sent to visit Canada with the Duke of Edinborough in October. The British-US invasion of Iraq started on 20 Mar 2003, without Canada—thanks to PM Chretien who seems to have resisted the charms of the Queen! In 1991 Canada’s declining Defence Forces were so meager we were only able to make token contributions to the Gulf War to drive Sadam Hussein’s Iraqi forces out of Kuwait when requested by Britain and USA. But in 1991, 11 Royals visited Canada on 6 different occasions. One cannot help wonder how well Canada is served by a British Monarch that speaks only for British Foreign policy rather than the interests of Canadian citizens? With Great Britain, getting out of the EU, leaving Scotland and Northern Ireland to ponder remaining in the European Union, there may be little “United” to the “United Kingdom”. Can we afford to continue to allow a not so great Britain to determine our foreign policy? Completely re-evaluate Canada’s pathetic defence budget, equipment, intelligence, resources, and size up to what we need and are capable of sustaining. Re-evaluate Canada’s need to remain in NATO and other ad-hoc military coalitions. Re-evaluate Canada’s tradition of sending our forces to share in stupid British and US military mistakes. Recognize where war cannot be won by anyone and keep out. Lots more war coming soon. The sovereignty of Canada must be absolutely first priority. Historically it has only really been threatened by one country, USA. “Easy grab” said Madison. He was wrong. USA still does not recognize Canadian Arctic sovereignty. It may be necessary to remain in NORAD but that is a decision to be re-evaluated and continuing should not be presumed. Canada needs to think critically about sovereignty issues and foreign policy disputes of countries like Ukraine and Israel, Kuwait, Jordan, Lebanon, Saudi Arabia, and Egypt where any kind of military intervention leads to even more instability and can leave us supporting values that are most unCanadan. Clearly non-military solutions are less expensive and more effective tools for pressuring foreign countries on human rights issues like the rights of women and minorities than armed interventions. The US war on drugs appears to be unwinnable–even self-propagating–and is clearly a counterproductive use of Canadian Defence resources. The use of Cdn Forces aircraft and ships to stop N Pacific drift-net fishery is a valid use and they are effective in that role. Continuing seems advisable. We must be wary of becoming ensnared in the short-term expediency of propping up police-states and dictatorships for economic ends. Canadians are adamant about remaining untarnished by the moral void of nations that would draw us into illegal/immoral practices like unaccountable detention and torture centres that flaunt international law and accept human rights abuses axiomatically. Democracy and capitalism cannot be imposed militarily on every country whose development diverges from the American dream. Several misguided US presidents have failed to recognize that…Bush I, Bill Clinton, and Bush II. Hillary Clinton will likely continue the same mistakes if elected. Trump doing it seems near certain. Regime-change by military means should only be considered in the most extreme and clearly defined, real evidence supported circumstances. Canada should have a role in reminding the USA how often their regime change efforts have backfired–badly. Be wary of more Canadian military support for the United Nations where the UN fails to do its part to support the country accepting the military job. Vigorously pursue reform of the constitution of the UN especially the Security Council. It is way WAY overdue. Reviewing the monarchy in Canada might be very divisive so I hesitate to suggest that be done. Subtle change might be workable e.g. less invitations. Additional note: See the article below for a more detailed look at the failings of rushing into military interventions without a meaningful diplomatic understanding of the issues and peoples involved. Andrew Bacevich’s fierce and fearless critique of US the military strategy. by Marwan Bishara, senior political analyst at Al Jazeera. America’s War for the Greater Middle East is a remarkable book. Andrew J Bacevich, a military historian and an American patriot who served in the United States military, and who lost his son in the Iraq war, is a no-nonsense no-warmonger. Sober and comprehensive, Bacevich’s balance sheet of US wars in the Muslim world is a testimony to Washington’s military failures in the Greater Middle East. Throughout the book he employs an analytical razor to dissect the doctrines and dogmas behind direct US military intervention in the Middle East, which he dates back not to Franklin Roosevelt or Dwight Eisenhower, but rather to Jimmy Carter. 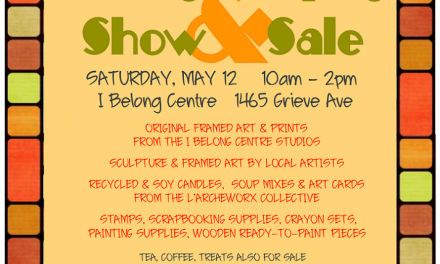 Spring Art & Craft Supply Sale at L’Arche!